Interview: MARK BLANDFORD: Mark is a pioneer of on-line bookmaking forming sportingbet.com building it into a global mega-company success. He started his career in 1984 with a single backstreet betting shop which grew to five before selling up and investing the lot into the Internet business. His firm also acquired Paradise Poker and things were going extremely well until UIGEA knocked millions off the value of the company in one stroke of the US President’s pen. Mark bounced back and still searches out talent to invest in, both equine and human, watch and hear the inspirational story of a bookmaking and business legend. Meeting Mark Blandford, internet betting pioneer and founder of sportingbet.com. 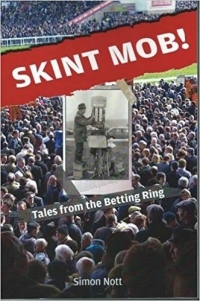 In part 1 he talks of his background in business, running a small chain of backstreet betting shops, poacher turned gamekeeper professional punting, setting up Sportingbet and utilising analytics in the art of bookmaking. In part two Mark talks about taking on professional punters and the trails of actually being one. Using ratings, the dot.com boom, becoming a global brand, restriction policies and not getting on! In part three Mark talks about his love of poker, playing with Neil Channing, acquiring Paradise Poker, the UIGEA ruling and subsequent catastrophic affect on his business. In this fourth and final part of our interview Mark talks of how he dusted himself down and kicked on again after the UIGEA disaster. He also discusses his close ties with the Scudamore family, owning a winner at the Cheltenham Festival and finding winners in business. He also talks about the current bookmaking industry and looking forward to the future.